The world has shrunk and the Internet has enabled even small companies to have a global presence. As a result, not only do traditional manufacturing companies find they must defend market share against global competitors, but crowdsourcing platforms, such as Kickstarter, have reduced the barrier to entry for new startups with innovative offerings. All of this has made the competitive pressures on manufacturers today more significant than ever. Thanks in large part to emerging competitors, including lean, mean startups that can create and build innovative new products faster with access to many new technologies, such as 3D printing. These smaller incumbents can also respond faster to dynamic market shifts than more established traditional manufacturers. In addition to increased competition, the timeframe to design, build and ship products is also shorter than ever. So what can manufacturers do to keep their heads above the turbulent competitive waters? 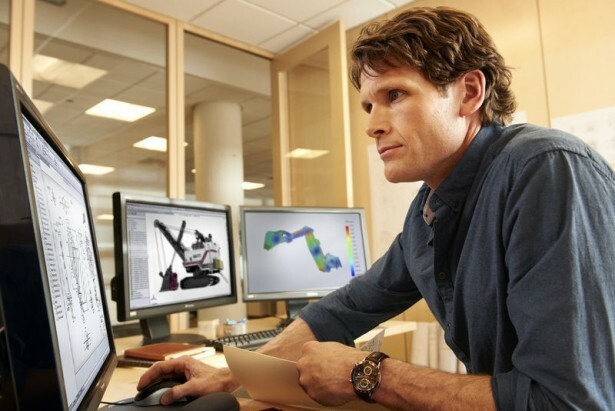 They must embrace the new competitive weapon: best-in-class 3D CAD tools. In the Tech-Clarity white paper “Are You Changing CAD Tools? What You Should Know,” author Michelle Boucher points out that because of the changes in the competitive landscape, manufacturers are shifting their focus to more product-centric strategies to improve competitiveness, with CAD tools being a key factor of this strategy. For this reason, many companies are re-examining their current CAD systems and considering switching tools. Is your CAD tool holding you back? What if your company needs to update CAD tools? Is it worth the time to convert archived data into a new format? Do the benefits outweigh potential risks? One of the more surprising results of the study was the fact that the motivation behind making such a switch was largely for business reasons, not as a result of problems with their current CAD tools. Growing influencers include supply chains, relationships, the vendor’s vision for design, and the CAD vendors’ full breadth of offerings. This big picture view of CAD indicates higher levels of management make buying decisions and they view CAD as a strategic piece of a larger product development solution. This chart compares some of the top business reasons for changing CAD tools.